Jonah and I are excited to announce that JD Sports Scoreboard for iPhone and iPod touch was accepted by Apple and released to the App Store. It offers all of the features of the iPad version, in a format specifically designed for 3.5 and 4 inch iPhone and iPod Touch screens. 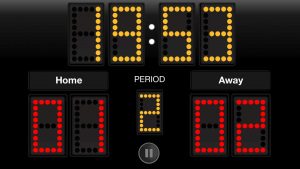 Are you interested in giving JD Sports Scoreboard a test drive? All we ask is that you leave a comment on this page, and we will give you a promo code for a free download. Just let us know which version (iPhone/iPod Touch or iPad) you are interested in. See more information in the Apple Store here.